Sit down at any traditional or online blackjack table and chances are good you’ll encounter a superstitious player. These superstitions have an affect on the tables we choose to play and even the seat we choose at any given table. Unless you’re a card counter, the truth is that no statistically significant advantage can be derives from a particular seat. Nevertheless, we all have our superstitious quirks when it comes to blackjack, the key however is to not allow these superstitions have a greater impact than more reliable factors. More than your lucky rock or your favorite mouse pad, how you bet is more important to winning and losing than anything else other than basic blackjack strategy. Make sure you have read and fully understand the table rules and betting limits for any blackjack table, online or live. Not understanding the rules of your tables can cause you to lose more money than choosing the wrong seat. Don’t choose a blackjack table with limits that make you uncomfortable because even basic strategy can’t save you if you’re losing more money than you can afford to lose. 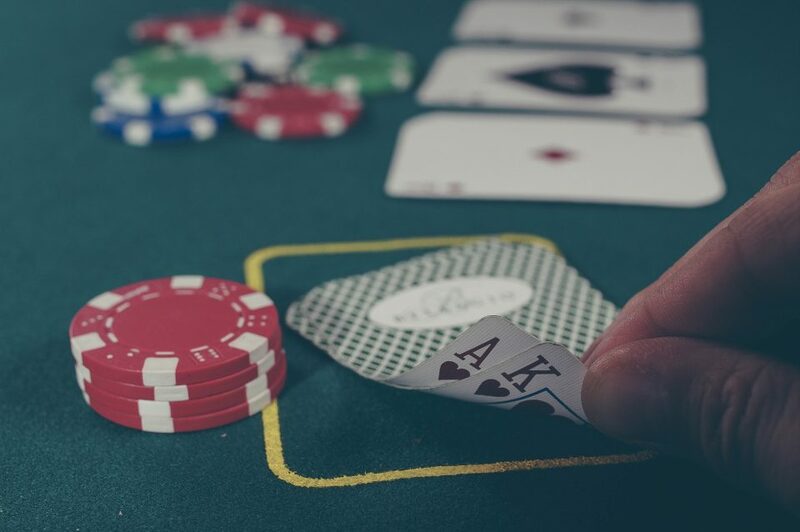 In fact betting more than you should per round can affect your ability to pay the blackjack strategy of your choice, which means that the house advantage will simply climb to insurmountable levels. Beginner players need to determine a daily bankroll number for each day at Casino.Net. However big or small that bankroll is, it should provide you with a minimum of 20 rounds of betting so you can play for more than just a few minutes. To determine what your daily bankroll should be, figure out what limit you’ll play and multiply by 20. This will give you more longevity at the blackjack tables, which gives you more chances to win! Even playing online blackjack, just like at Casino.Net, one superstition still stands; seat choice. Newcomers and experienced players alike succumb to the allegedly unlucky last seat to the left. Many blackjack players call this seat ‘third base’ because they believe this sit can exercise undue influence over the rest of the table, particularly if an inexperienced player chooses that seat. When the player sitting at third base strays from basic blackjack strategy they are often subject to dirty looks and grumbles from the rest of the table if the hand doesn’t end as expected. Although no numbers bear out this superstition, don’t be surprised if you get a bunch of angry comments if you choose to get another card when you should stay and the dealer hits blackjack. Why? Well because if you had stayed, your card (likely) would have made the dealer go bust and the table would’ve won. Like I said, there’s no hard evidence to back it up, but card players are very superstitious creatures and blackjack players are especially so. Well it means keep your superstitions because they make you feel more confident and comfortable, 2 important factors that can lead to success at the blackjack table. You should understand that how you bet is more important than these factors, so focus more on those than seat choices and the like. By recognizing advantages and exploiting them, you can have greater success playing blackjack. Exploiting these advantages is the only way to help you chop the house advantage.